Pawlooza in London, Ontario is a dog festival like no other. Be sure to join the fun, and stop by our booth to meet Maggie (oh, and us humans too)! See you SATURDAY AUGUST 17, 2013 at THE PLUNKETT ESTATE, London, Ontario. 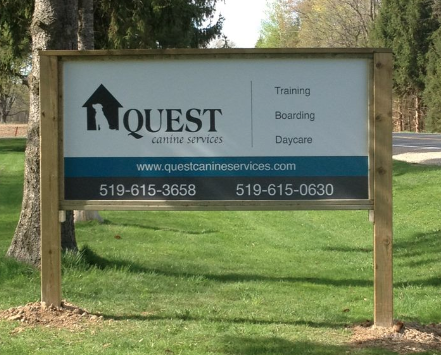 Quest Canine Services’ grand opening!